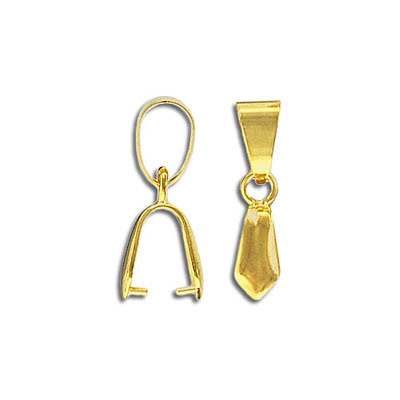 Fancy bail, 5x22mm with loop, grip length 4mm, gold plate. Fits 38-50mm pendants. Frabels Inc.